There are many health benefits of nature. We, as humans, are creatures of the outdoors. We are meant to be roaming outside in the sunshine, amongst the trees, lying in the grass and/or splashing in natural bodies of water every day. Sadly, most of us are not making that connection with the earth each day (or even each week), and our health may be suffering from it. Believe it or not, ecotherapy – the idea of connecting to nature to aid your well-being, is actually a thing. Here are just some of the health benefits of nature to inspire you to get outside more often for your health, sanity and pleasure. Vitamin D makes us happy. When natural sunlight its the skin it triggers the body’s production of vitamin D, the sunshine vitamin. It’s a crucial ingredient for overall health that uplifts your mood, lowers high blood pressure, reduces inflammation, improves brain function, helps to prevent cancer, and assists in healthy hormone production. Make it a priority to soak up some sun each day, and make sure at least 15 – 20 minutes are unprotected (no sunscreen). Sunshine helps set our circadian clock. Every organism on earth has an internal circadian clock, which correlates with the 24-hour cycle of light and darkness. The rising and setting of the sun is literally hardwired into our neurobiology. It influences our sleep-wake cycles, hormone release, body temperature and other important bodily functions that are critical for health. When your circadian rhythms are properly regulated, you sleep well, have energy in the morning (and steady energy throughout day), and have a reduced risk of chronic disease. Along with soaking up some sun each day (as mentioned above for vitamin D), be sure to avoid bright lights (particularly blue, glowing lights from computers, tablets, phone and other gadgets) once the sun goes down. Keeping the lights dim helps to wind you down before even getting into bed. Committing to a strict bed time each night for a good 7 – 10 hours of sleep in a completely dark room is another great way to help keep your circadian clock in check. Earthing connects us to the earth. Earthing is your body making direct contact with the earth; either your hands in the dirt, your feet on the grass/sand, your body lying on the earth, etc. The earth nourishes us in ways we’ll never be able to understand – but we’re so disconnected to it from the floors beneath our feet, concrete, cars, to the shoes that we wear. Earthing acts as an incredibly powerful source of antioxidants that neutralizes the excessive free radicals in our bodies more effectively than any other method known. It helps reduce inflammation, increase energy, lower stress, improve blood flow, relieve headaches and much more. Earthing is simply making that direct connection with the earth with your hands, feet or whole body. Gardening, a barefoot walk on the beach or lying on the grass would be simple examples of earthing. Engaging the senses results in overall health. 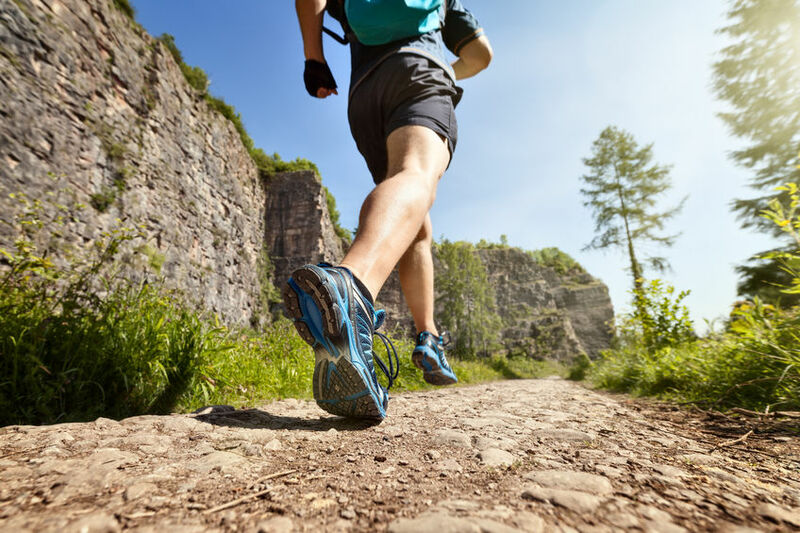 See: Getting outside and focusing on objects anywhere from two feet away or further will actually reverse symptoms of blurred vision, dry eyes, eye irritation, headaches and neck/back pain. Being out in the natural light may also decrease our chance of becoming nearsighted where as artificial light will increase it. Beyond that, observing the beauty of nature with our two eyes promotes a soothing sense of calm. Smell: Opt to step out and breathe in more fresh air throughout the day. While outdoor pollution pose health risks, indoor pollutants are far worse including risks for heart disease, hormone imbalances, lung cancer, chronic bronchitis, and asthmatic attacks. Besides, some of the naturally occurring scents in nature are anxiety reducing. Stop and smell the roses! Feel: If you’d like to feel and reap the benefits of the energy of the earth, take your shoes off and practice earthing (as mentioned above) to get grounded. Hear: There is a reason why there is a vast array of “nature sounds” albums out there for purchase. Nature sounds good and those sounds can have a huge impact on our health and well-being. Opt to enjoy the actual sounds outside but on days you cannot get out, turning on a nature album will do the trick! Taste: Planting your own food or even foraging for food can be wonderful ways to interact with nature. Consuming foods from the earth, in their original state, is extremely nourishing to both our body and mind. It’s what we’re supposed to eat therefore it has a very relaxing effect to our being. The best part is, it’s delicious! Want to learn more about the health benefits of nature and how to cultivate a lifestyle of wellbeing? Subscribe to our newsletter at www.cczine.com/subscribe.